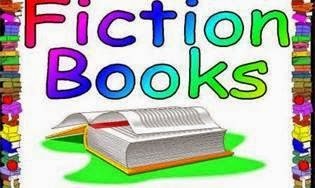 Laurie Here - Contemporary Fiction and MORE - Book Reviews: The #NYTimes TOP 15 (20) #Bestsellers in #Fiction/Week ending 3-14-15 + #Blog Updates! The #NYTimes TOP 15 (20) #Bestsellers in #Fiction/Week ending 3-14-15 + #Blog Updates! Welcome! It's been another week of great books, and I can't wait to see what books hit the list! This post is always up by NOON every Sunday and most of the time earlier! Hi everyone! The winner from last week was Librarian Lavender! Yes, the random.org chose #1! She was #1! I've emailed her this morning! CONGRATULATIONS!!! I do believe I missed choosing the winner for the $10 and under book. I have to double-check that, and I'll let you know! I'll schedule that announcement for next Sunday! REVIEW LAST WEEK AT THE BLOG! "Lacy Eye" by Jessica Treadway HERE! I LOVED this book! I was so absorbed in the story! It had me on the very first page! It was a psychological thriller and it's a one person narrative, and it's GREAT! I could not put it down! You'll have to read the review! I have another review that is done, for the most part, for "The Promise" by Beth Wiseman, and I'm having a heck of a time calling it out for what it is! I've been working on it for 1-1/2 WEEKS! "I" believe the book is about Human Trafficking, but the author does not call it that. She glosses it over and wants us to focus on the difference between the religions at play. WHAT??? This is exactly why I QUIT reading and reviewing 'christian' books! (I had requested this from NetGalley before I made that decision.) MOST of the christian authors 'seem' to not like the BAD stuff in life, so they DO gloss it over, and I'm tired of that. They DON'T call things what they should be called, and Human Trafficking is pretty serious, but instead, on this one, the author asks us to look at the differences of their and our religions??????? I can't do it!!! There is something MUCH more important at play with this book!!! See! I'm getting ALL worked up over it now! This is how it's been ALL this time as I've been trying to type it out! UGH!!!! I'll get it done! It's just a matter of time and until I get it the way I want it. It WILL have Spoilers in it - just a warning!! Anyone ever have a review to write like this before? MORE reviews will be coming this week! This book, too, WILL get posted!! Another NEW review ON TUESDAY, TOO! So MUCH is going on on Tuesday! Maybe I'll hold this one off until Wednesday? We'll see! It's an MJ Rose book called The Witch of Painted Sorrows! I love her books! There is always an air of mystery to them, among many other things! I LOVE the stories that take us to the Medieval days! THIS COMING WEEK AT THE BLOG - GIVEAWAYS! This week I'm not holding a giveaway 'here' in this post today as I explained above, because this week is the start of '2' NEW ones on Tuesday, March 17th! Mark your calendars, OR watch the feeds to come back that day or after for the $250 Giveaway and Blog Hops! ALWAYS WATCH THE UPPER LEFT COLUMN FOR GIVEAWAYS GOING ON! Well, I usually miss something EVERY WEEK! I 'think' I got it all covered! No doubt I forgot something, but that just keeps you coming back! LOL! Have a GREAT week! GIVEAWAY GOING ON RIGHT NOW!!! See! I DID 'almost' forget something! Take a look in the Upper LEFT side column! There is a Giveaway for a $50 Amazon Gift Card OR PayPal CASH! Go and enter it! Okay! Here are the books! There we have our books! Hope to see you "THIS" Tuesday, March 17th till the 29th AND the 31st - details above! Here are the rest of the books! I have read and loved 1, 2, and 11. I have 8 on audio to listen to and want to read/listen to the Nightingale. I look forward to your review of Lacy Eye. Hope your week is wonderful!